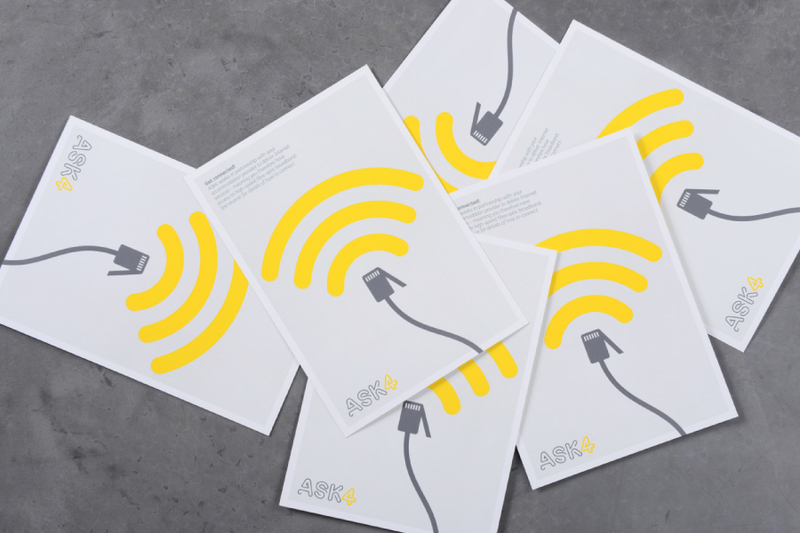 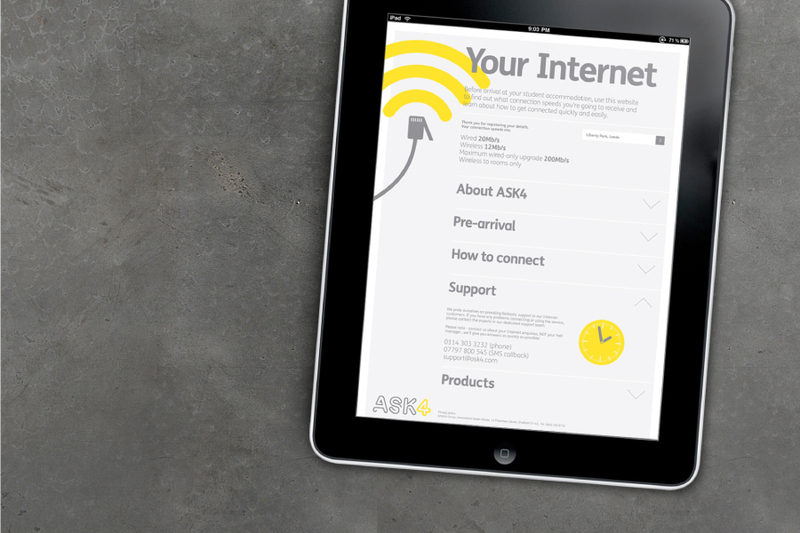 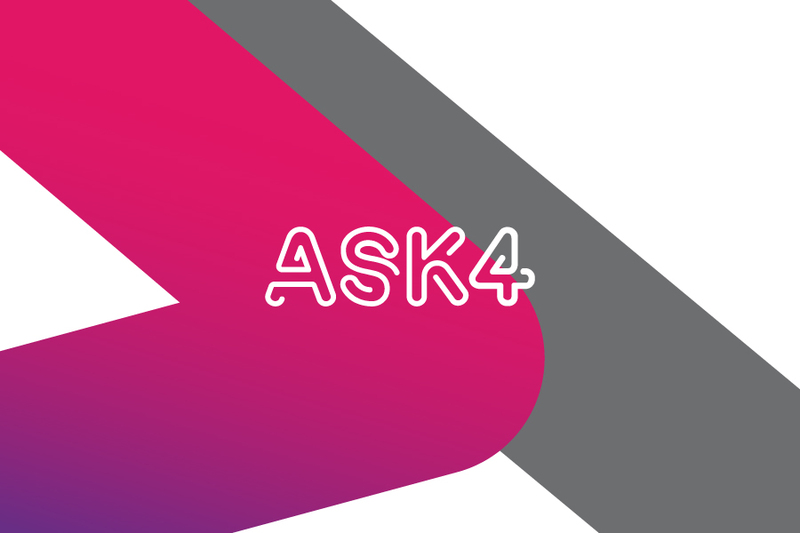 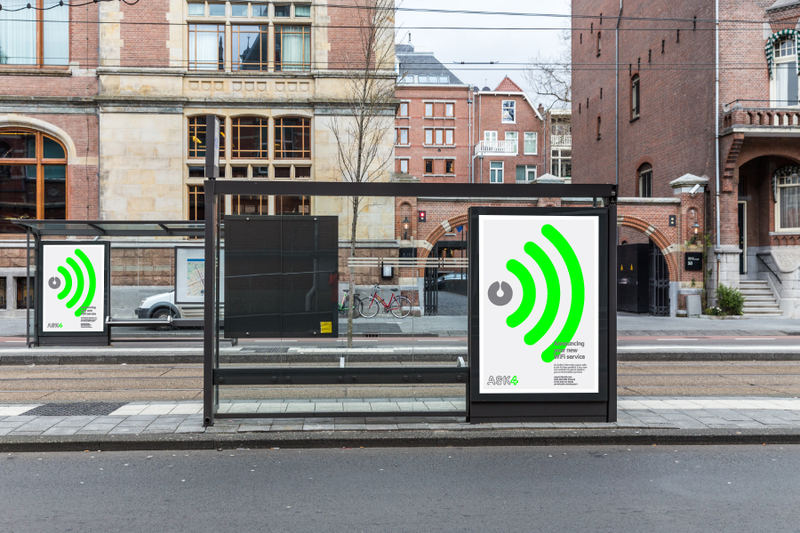 Sheffield-based ASK4 has excelled over the last decade, enjoying an excellent reputation as one of the UK’s leading suppliers of Internet to managed residential buildings and particularly the student accommodation sector. 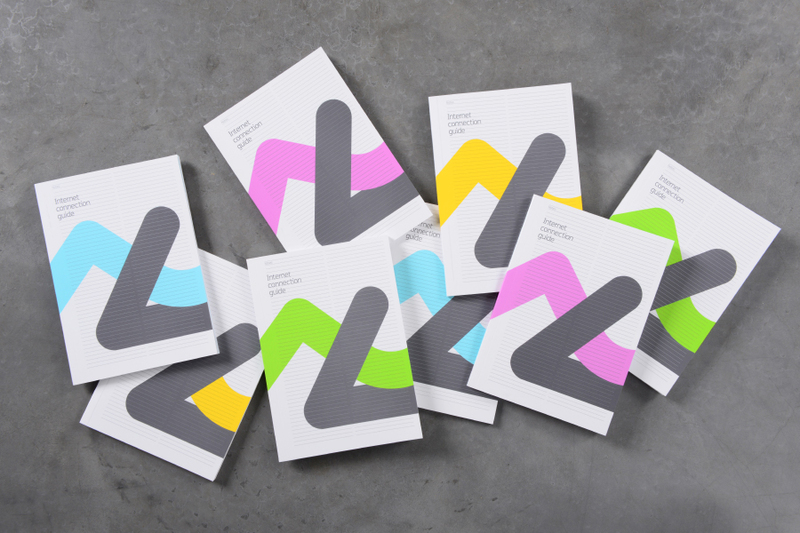 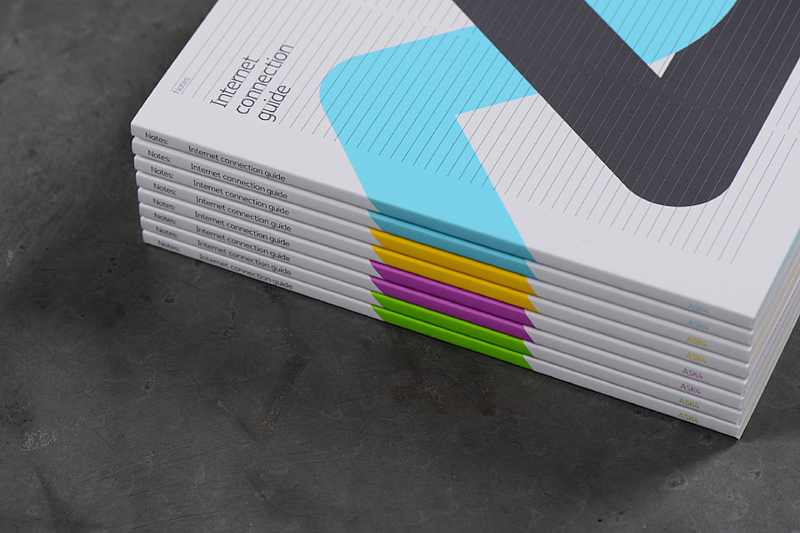 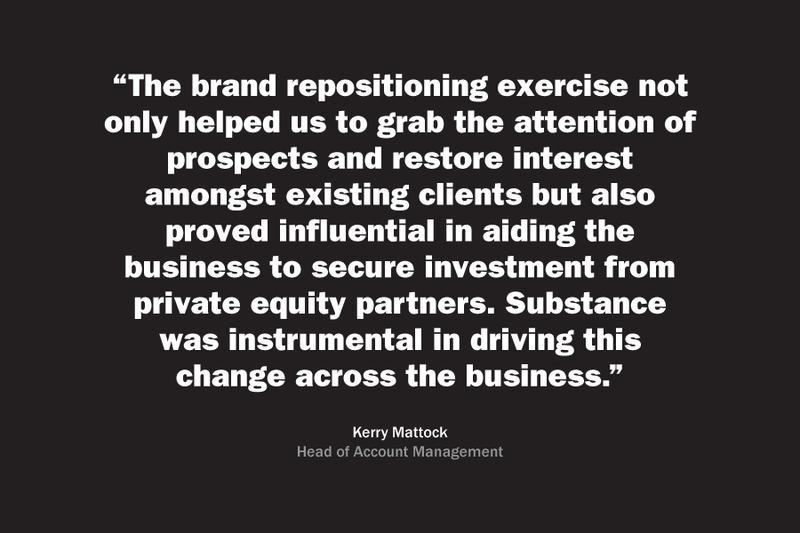 However, with a transient audience of highly brand-conscious service users and an increasingly demanding client base, the company required a reinvigorated brand to drive its next phase of growth. 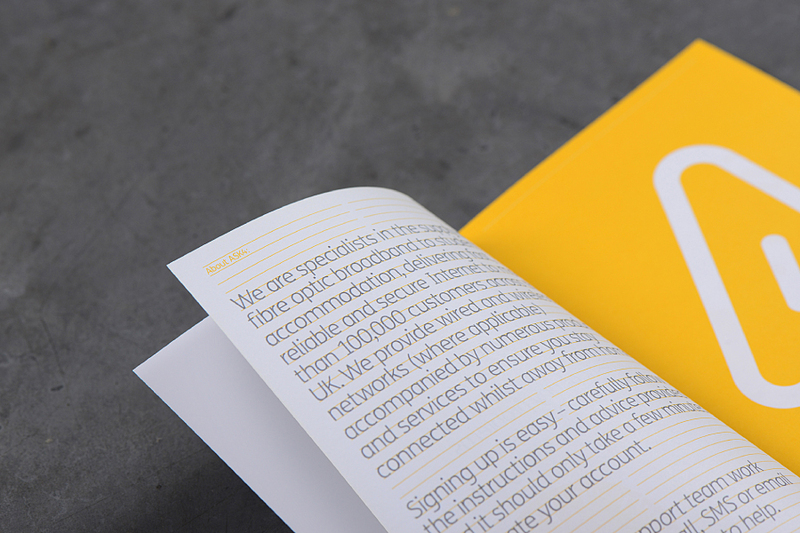 Quickly identifying a disparity between the company’s identity and its value proposition, we conducted a research-led refresh of the brand, retaining the existing logo yet transforming the entire look, feel and attitude of its communications.